After a long journey, there is nothing better than a good place to rest. A different setting to spend your time in this city. 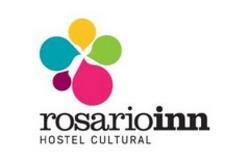 A cozi and complete lodging located in downtown Rosario, just a few meters from the Parana River. 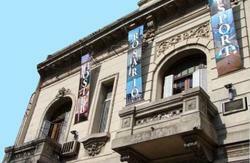 In â€œPrimera EstaciÃ³nâ€, you will learn the typical spanish spoken by people from Rosario, wich is also known as â€œRosarigasinoâ€. 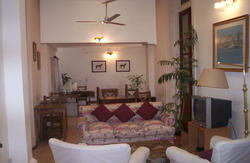 You will be able to dance â€œtangoâ€, prepare our typical â€asadoâ€ (barbeque); and play â€œfutbolâ€ (soccer) match. You will also be able to attend the biggest soccer tournament matches. If you like to dance and listening to great music; this is your best choice. And if you also enjoy adventure and out-door life you will have the chance to rent bicycles to cycle around the city or to choose the unforgettable excursions offered in our tourist office. As we really understand the importance to feel at home when you travel, we have created a very confortable acommodation where you can enjoy all the different activities of your choice.